Dr. Alan Menter was born in England and is a graduate of the Medical School of the University of Witwatersrand in South Africa. He completed his dermatology residency at the University of Pretoria, South Africa, and two fellowships in London at Guy’s Hospital and St. John’s Hospital for Diseases of the Skin. A fellowship with the University of Texas Southwestern Medical Center in Dallas brought Dr. Menter to the United States. Since then, he has held several positions within the UT and Baylor University systems. In 1992, he was appointed chairman of the Division of Dermatology at Baylor University Medical Center—a position he still holds today. 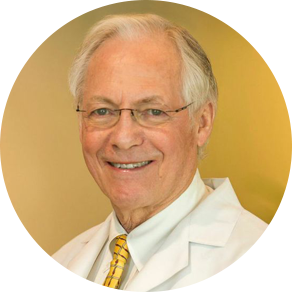 In 2004, Dr. Menter established the International Psoriasis Council. Dr. Menter authored and participated in the original Botox wrinkle study published in the Journal of the American Academy of Dermatology in 2002, the “Glabellar Lines II Study Group” published in the Plastic and Reconstructive Surgery in 2003 and the hyperhidrosis (excess sweating) study in 2007. As a well-respected specialist in cosmetic dermatology, Baylor University Medical Center is now home to Dr. Menter’s esteemed Menter Cosmetic Institute. Dr. So Yeon Paek graduated from Yale University with a degree in Molecular Biophysics and Biochemistry. As a native Texan, she returned to Texas and received her medical degree from the University of Texas Southwestern Medical School. She completed a clinical research fellowship at the National Institutes of Health (NIH), internship at St. Luke’s-Roosevelt Hospital Center in New York City, and dermatology residency at Henry Ford Hospital in Michigan. She is the recipient of several awards and honors, including the Women’s Dermatologic Society Academic Research Award for psoriasis research and theMichael S. Benninger, M.D. Award for excellence as physician, researcher, and teacher at Henry Ford. Before joining Texas Dermatology Associates, Dr. Paek was Assistant Professor of Dermatology at Brown Medical School, Co-Director of the Center for Skin and Musculoskeletal Diseases, and Medical Director of the Phototherapy Unit at Rhode Island Hospital. She is Board Certified by the American Board of Dermatology and is a member of the American Academy of Dermatology, Medical Dermatologic Society, and the Society for Investigative Dermatology. She has also lectured at the local, state, national, and international level. She has been Principal Investigator for numerous research studies and has written book chapters and articles in peer-reviewed medical journals. Her clinical and research interests include psoriasis, hidradenitis suppurativa, biologic therapy, general dermatology, dermatologic surgery, and cosmetic dermatology. Dr. Paek enjoys international travel, food, and music. She is excited to be back in Dallas with her husband and son. At Texas Dermatology Associates, we’ve been committed to providing our patients with the most up-to-date cosmetic and aesthetic skin care options for more than 30 years. We were involved in the first clinical trials of Botox® and hyaluronic acid fillers, and among the first institutes in the nation to provide these cosmetic procedures to our patients. In September 2014, we opened our brand new, state-of-the-art facility—the Menter Cosmetic Institute. Today, we offer the latest cosmetic, body contouring, laser and aesthetic services in an indulgent spa-like environment. When it comes to cosmetic dermatology, Baylor University Medical Center is the perfect home for the Menter Cosmetic Institute. Here, our patients enjoy exceptional care in a welcoming, elegant and professional atmosphere. Professionals in the art of beauty.